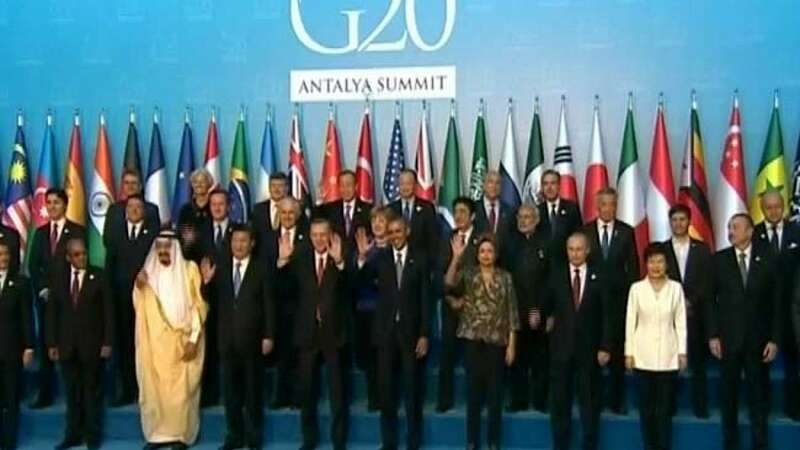 Antalya : After Paris attacks claimed by Islamic State, the world leaders on Sunday raised alarm against terrorism at G20 summit held in Turkey. Leaders of world’s greatest 20 economies ensured to share intelligence, track border crossings and boost aviation security with an eye to prevent foreign travel by terrorists. "We are concerned over the acute and growing flow of foreign terrorist fighters and the threat it poses for all states," the G20 chiefs said in a draft statement by AFP. A passport from Syria found near the body of one of the attackers in Paris have raised concern over many sleeper cells being inducted in Europe as a part of the huge influx of people fleeing Syria's civil war. Investigations have now confirmed that three of the suicide bombers were French nationals, but two of the men had lived in the Belgian capital Brussels. A 15-year-old boy was also included in the ghastly attacks of Paris that killed nearly 128 people.